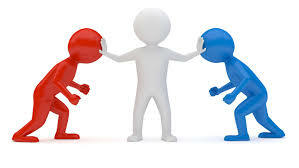 Condo boards have a difficult timing making decisions for their community when the community can’t agree on anything. Condo directors are concerned about saying something upsetting to someone. Since you can’t make everyone happy, anything said is bound to rub someone the wrong way. Public discourse is about speaking. You say something; someone objects, hopefully with reason. Dialogue continues. In condo communities, too many remain silent for fear of upsetting someone or being verbally abused. When someone attempts to suggest changes, even with documented support of specialists or experts, the chorus of objections can be deafening. Well-meaning directors find it impossible to oppose this chorus of objectors. Many eventually give up on trying to do well for their community and find other ways to give of their time. It is too easy for people to object without providing practical alternatives. 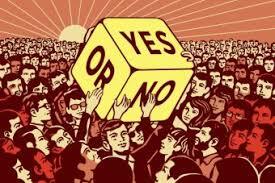 There are always many reasons to say no and only one reason to say yes. With every suggestion being shot down for different reasons, those who spend the time undertaking research or obtaining expert opinion can be at a disadvantage. When condo owners talk proud about opposing well-intentioned director initiatives, it can be unclear if there are any winners. As with politicians everywhere, condo directors fear contentious decisions that will put them in the spotlight. When every decision becomes contentious, it is nearly impossible to move forward from the status quo so nothing gets done.